British horse racing returns on Wednesday after a six-day shutdown that forced all meetings to be cancelled following the outbreak of equine flu. Meetings will take place at Kempton, Musselburgh, Plumpton and Southwell as planned with special measures put in place by the British Horseracing Authority (BHA). Sky Sports Racing will cover the return with live coverage from Plumpton and Southwell from 1.30pm on Wednesday. The BHA announced on Monday that racing would resume after cancelling 23 meetings since February 7 in the wake of positive tests for equine flu at Donald McCain's Cheshire yard. Six horses trained by McCain returned positive tests last week, with a further four at Simon Crisford's Newmarket stable also found to be suffering with the illness on Sunday. The BHA ordered that no entries or declarations will be accepted from horses that have not been vaccinated in the previous six months, and all trainers have been required to provide health declarations at racecourses. BHA chief executive Nick Rust claimed the six-day shutdown of racing was necessary to get a "clear picture" of the equine flu outbreak. 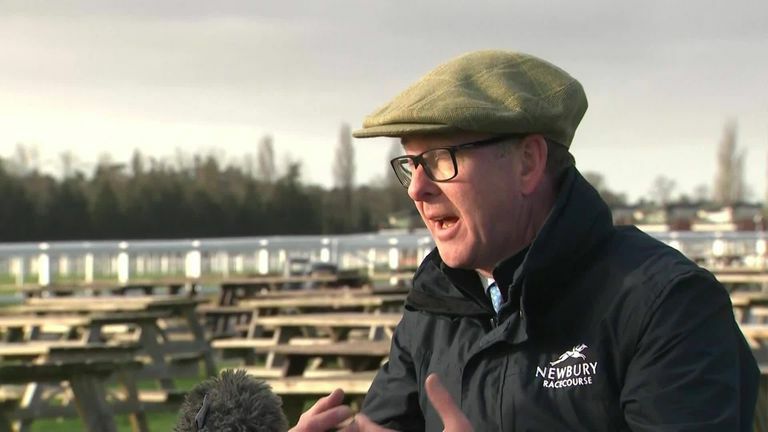 "The decision last week was taken with a set of circumstances that suggested to us that we should lock down racing for several days so we could have a clear picture of the circumstances around the outbreak," he said.